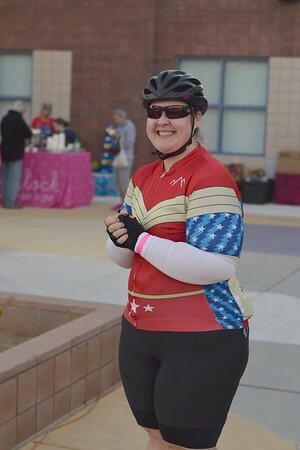 I got into endurance sports as I've lost weight. When I was 435lbs, I couldn't walk to the end of the street and back without wanting to die, but as I started eating better and losing weight (205lbs down so far), I started moving more...walking further and further until I discovered I could run, and then it became how much further can I run? I have run several half marathons and two marathons (including Chicago 2018). I have also started cycling, completed my first cycling event and will be doing my first century in 2018 as well. The triathlon bug has bit and I completed my first oly in July 2018 too, and several shorter tri, and will be completing Oceanside 70.3 in April 2019 and another 70.3 later in the year (with my ultimate goal being Ironman in 2020!!!). Married to a wonderful man for almost ten years and we are pastors (officers) with The Salvation Army.